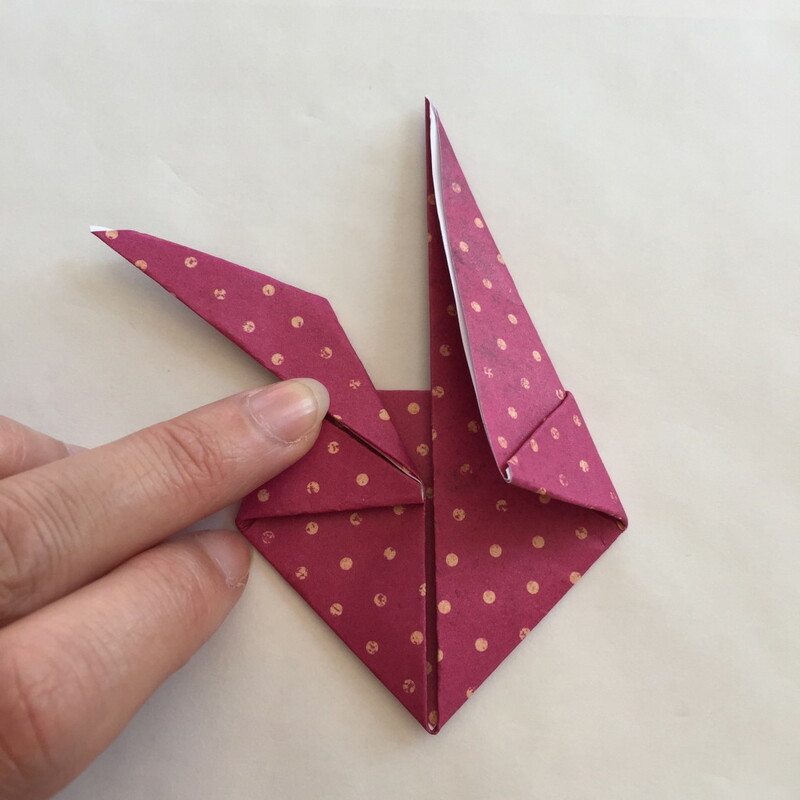 This bunny is made in two parts; so you will need a square piece of paper 15 cm x 15 cm (6 inches x 6 inches) for the body and another piece of paper the same size for the head. 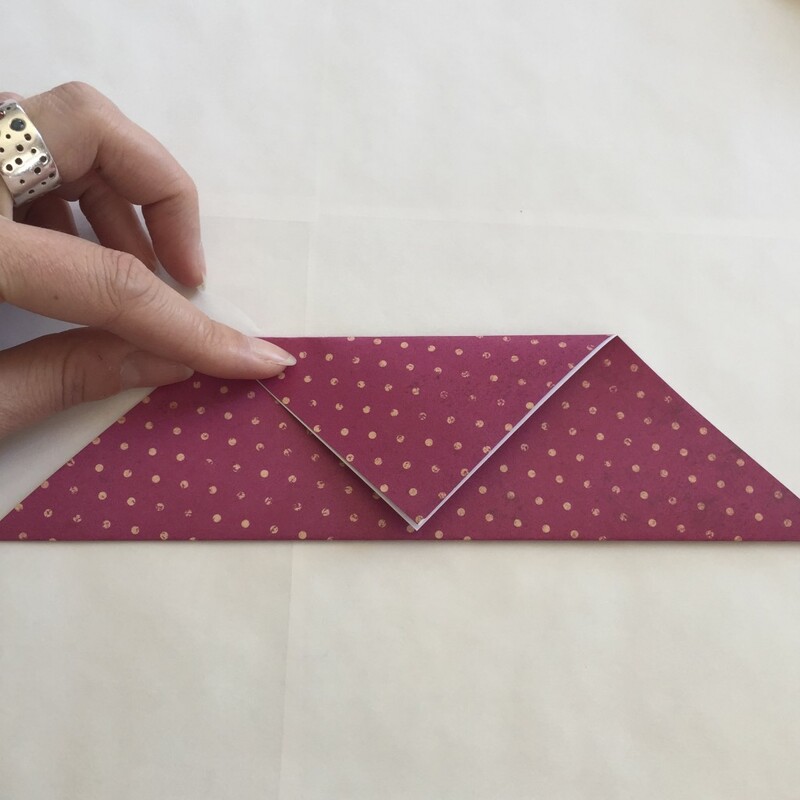 Fold a square piece of paper from corner to corner through the middle so you have a triangle. 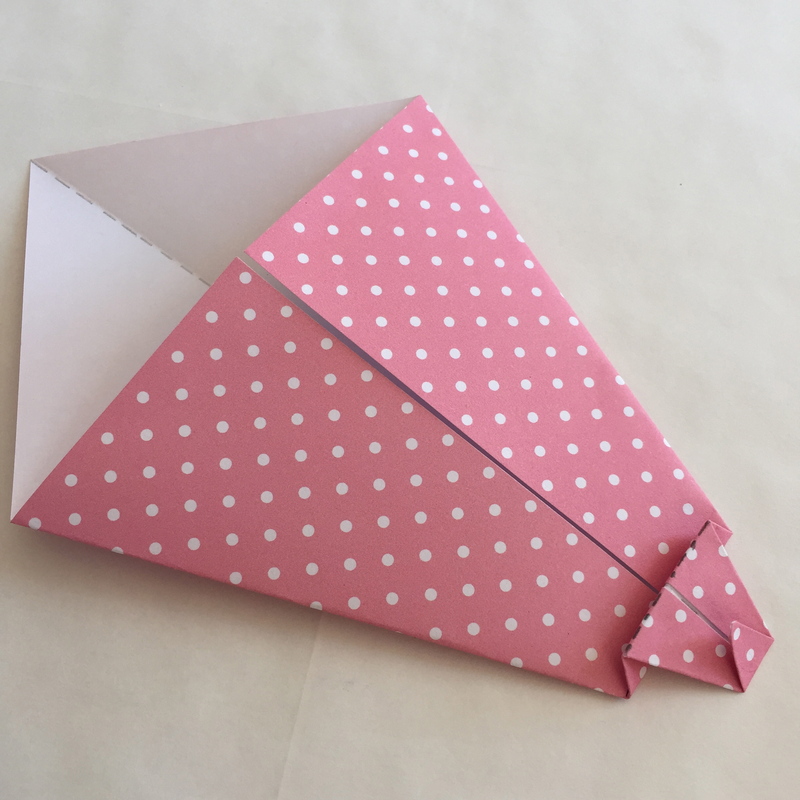 Open the paper back out. 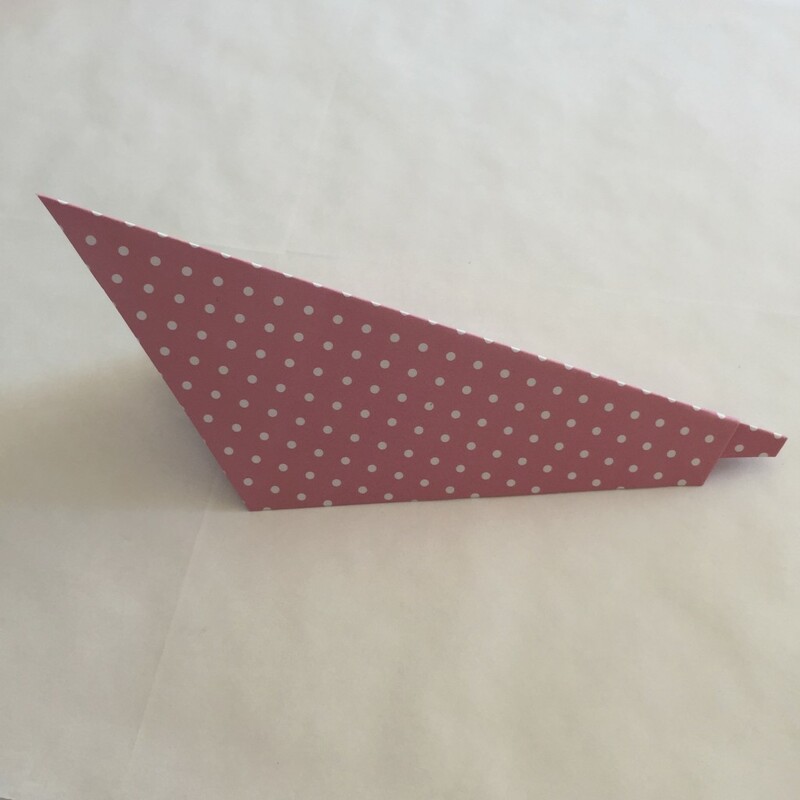 I have marked two lines across the pointed end to show the next fold lines. 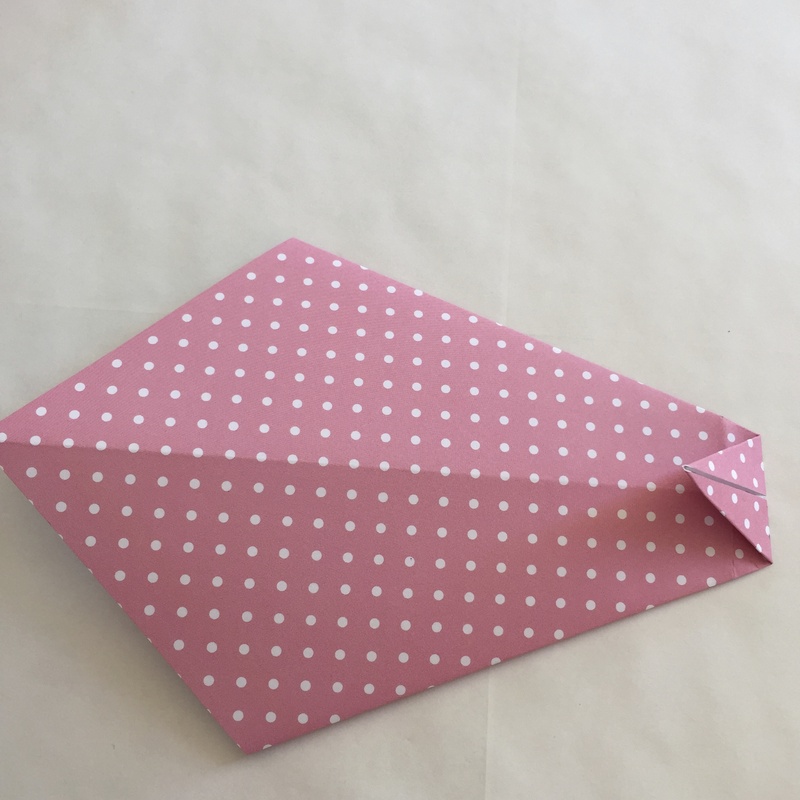 And stand the folded shape up. 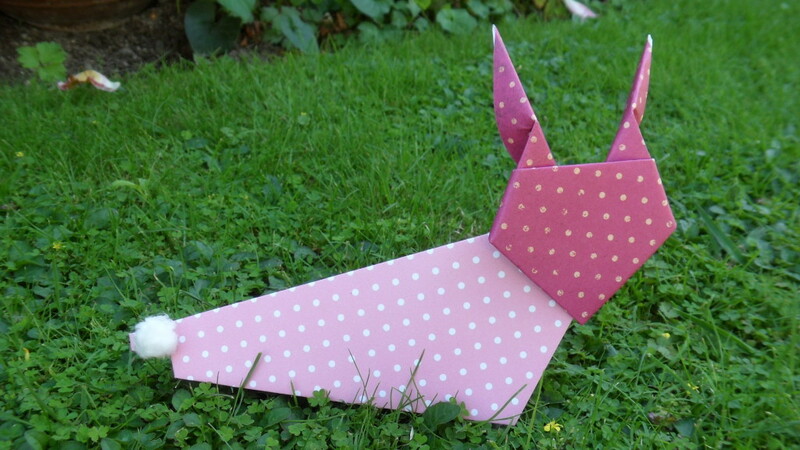 This is the body of the rabbit finished. 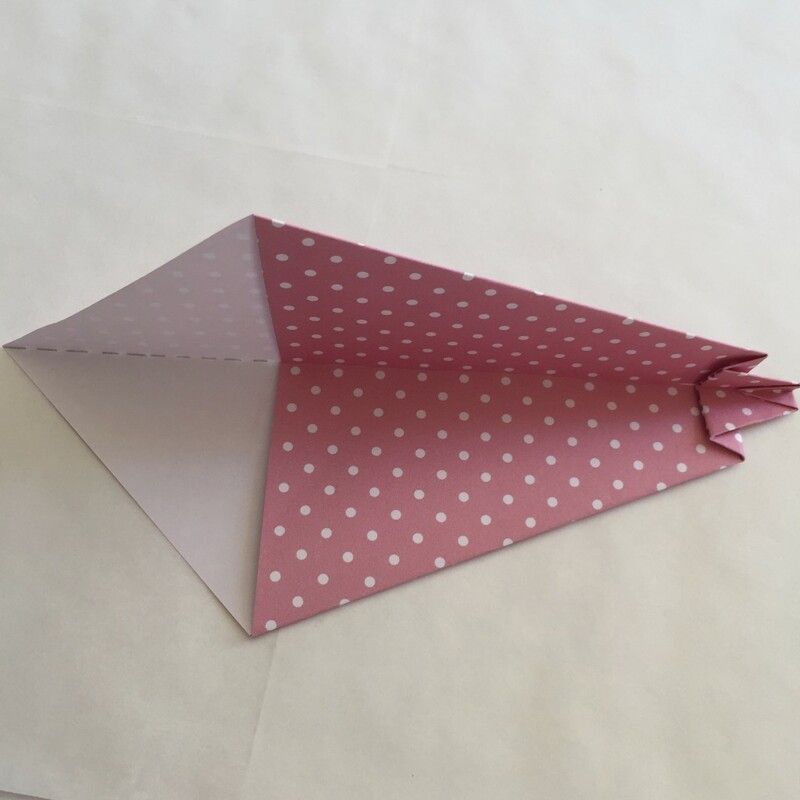 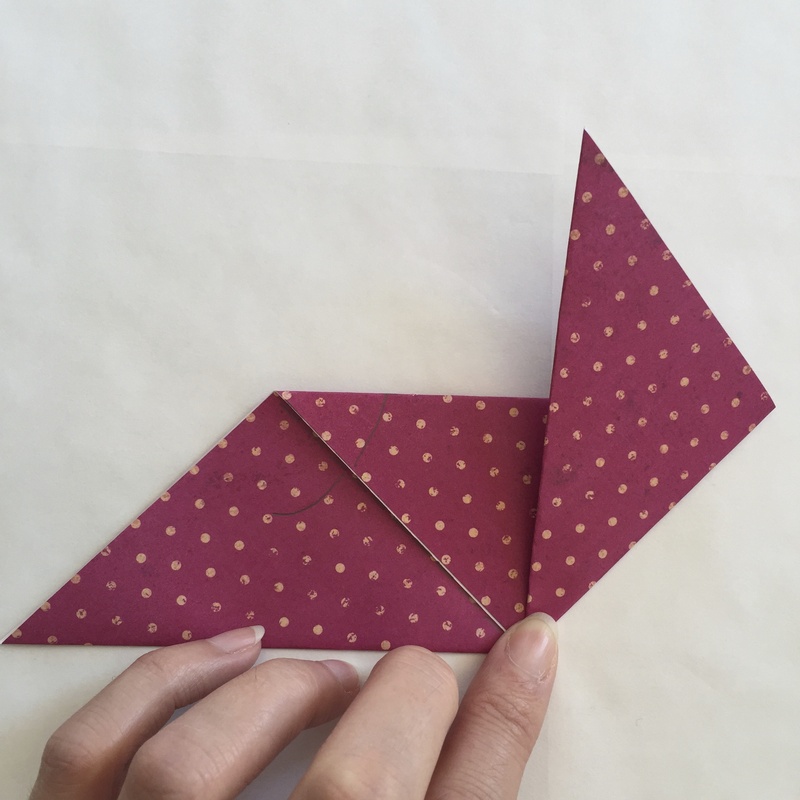 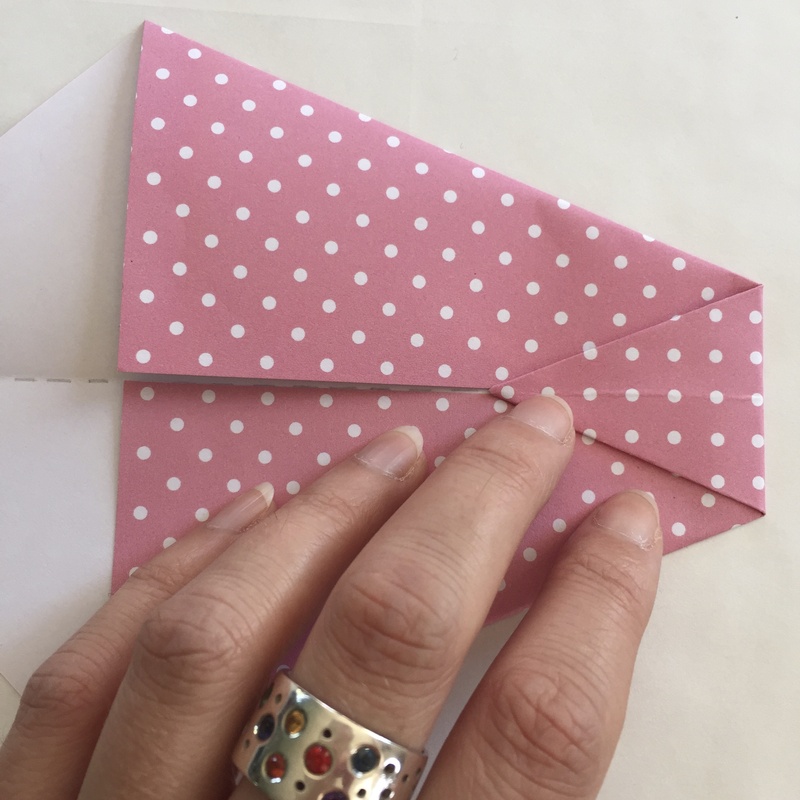 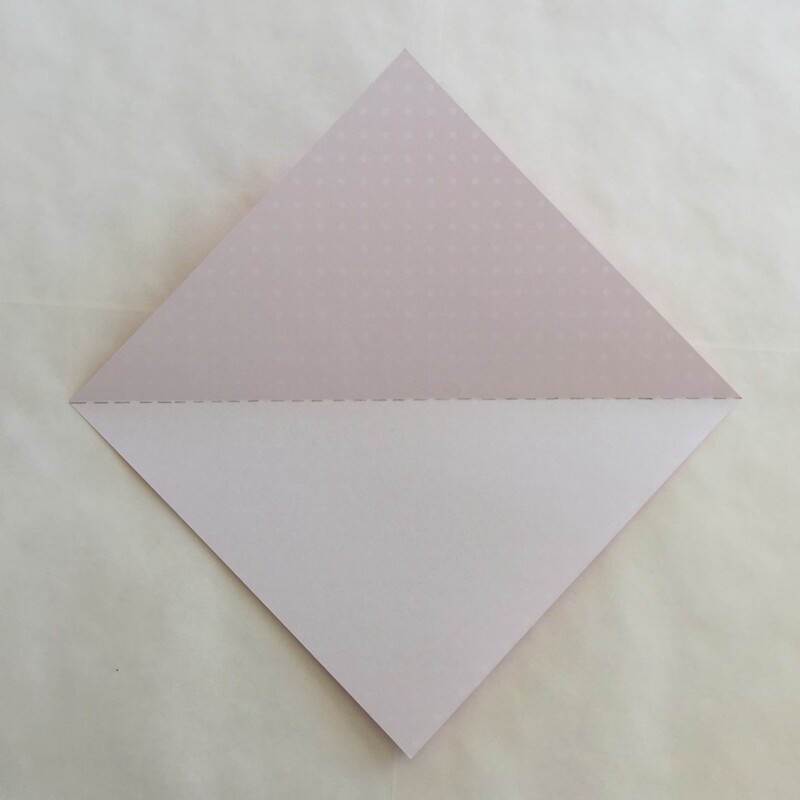 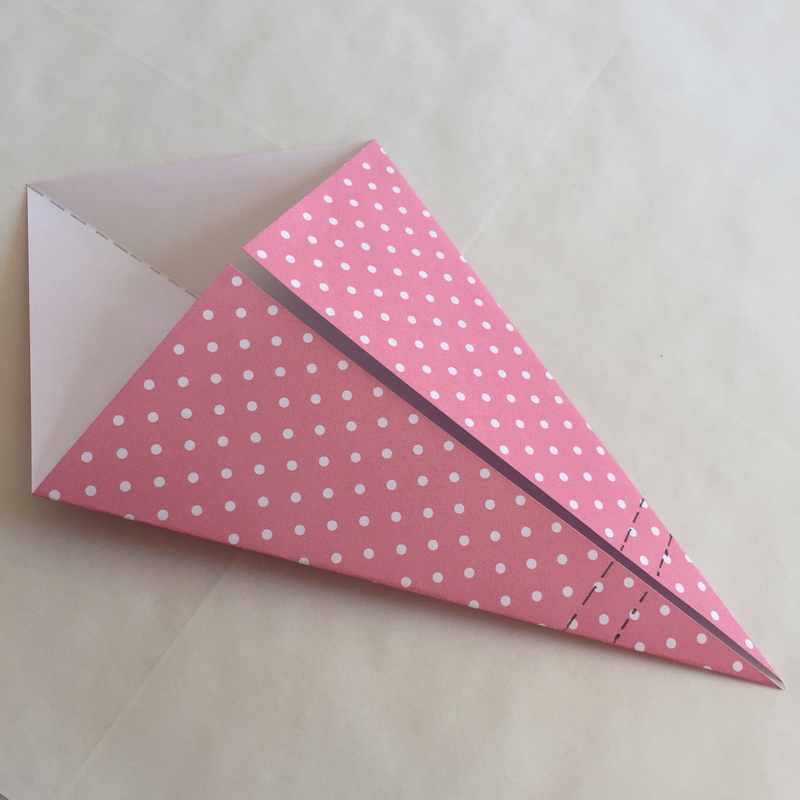 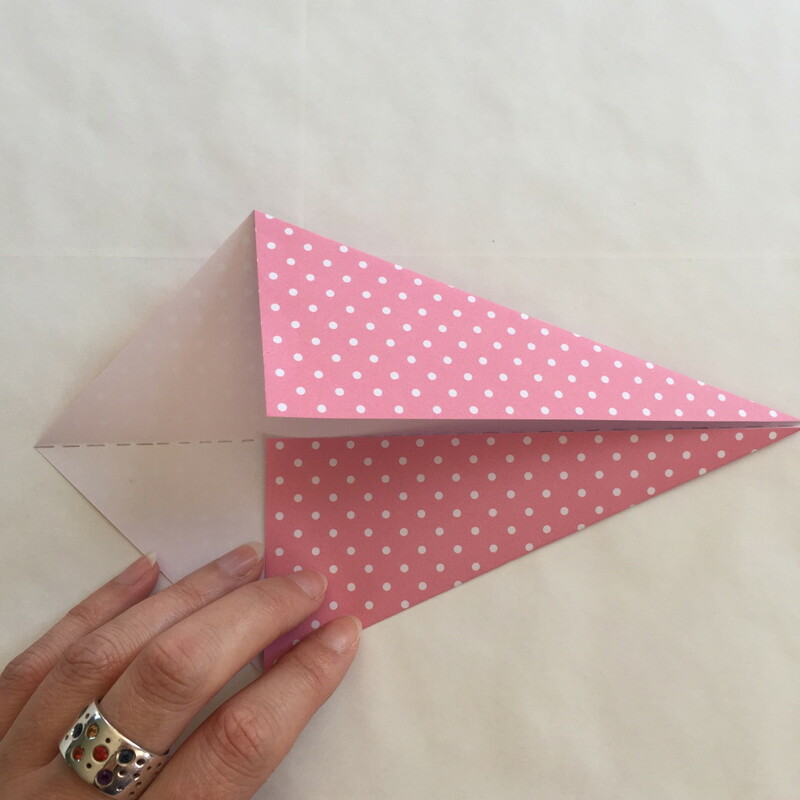 Fold a square piece of paper corner to corner through the middle so you have a triangle, (as in step 1 above, for making the body of the rabbit, except this time leave the paper folded in a triangle). 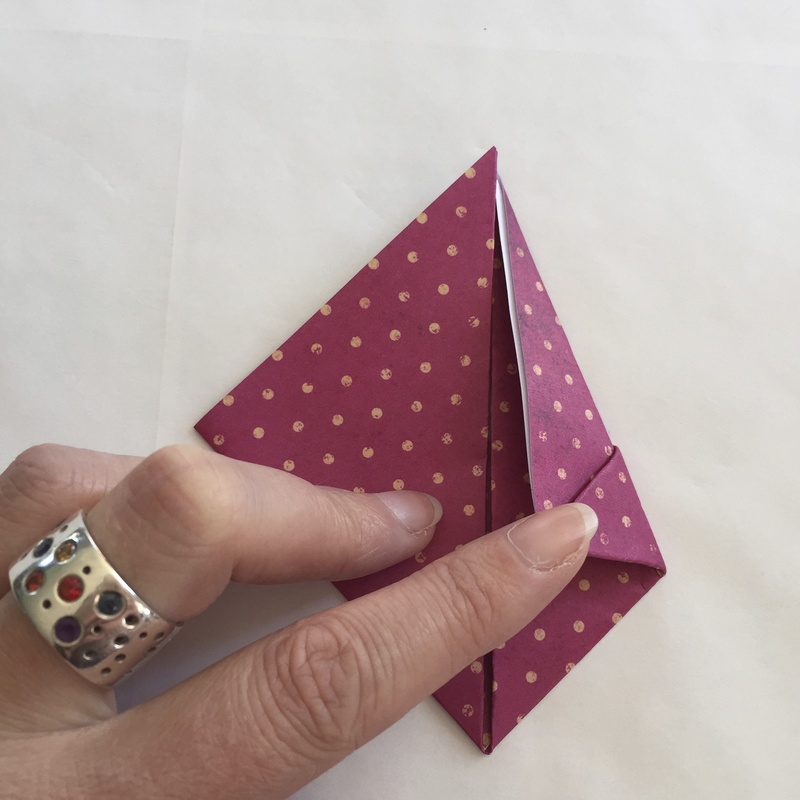 Fold both of the outer points in so the fold is along the edge of the triangle created in the last step. 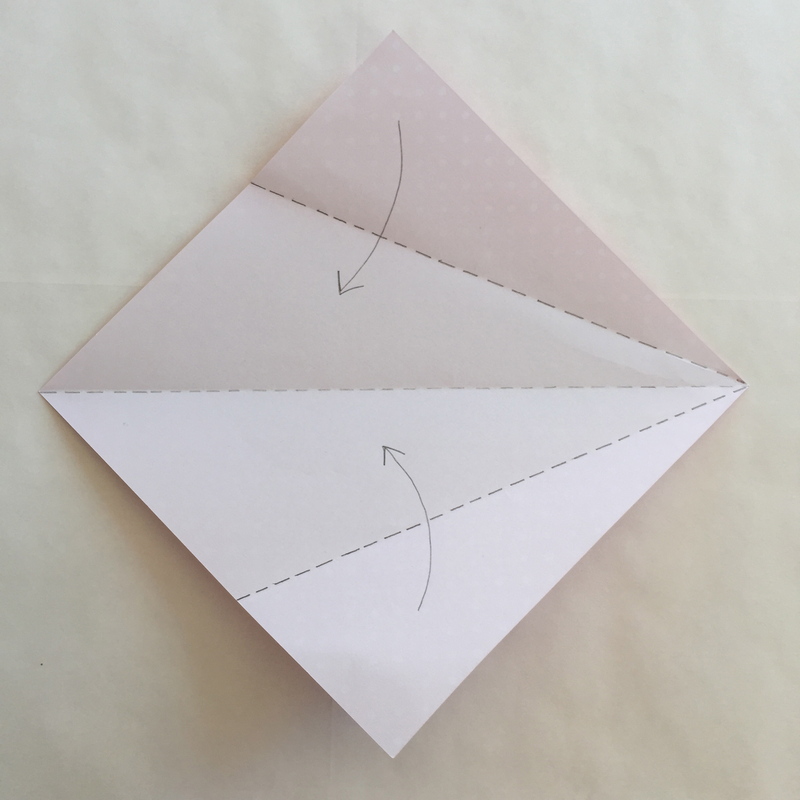 The following photo shows one side being folded up, (do the same on the other side and you will have created a square). 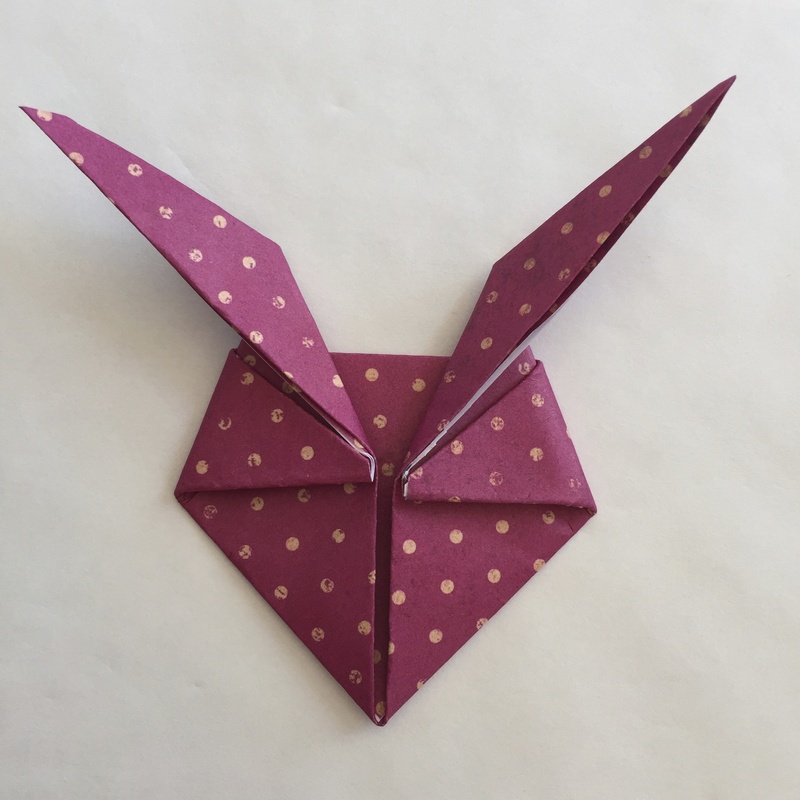 Turn over and this is the finished rabbit’s head. Attach the head to the pointed tip of the body. 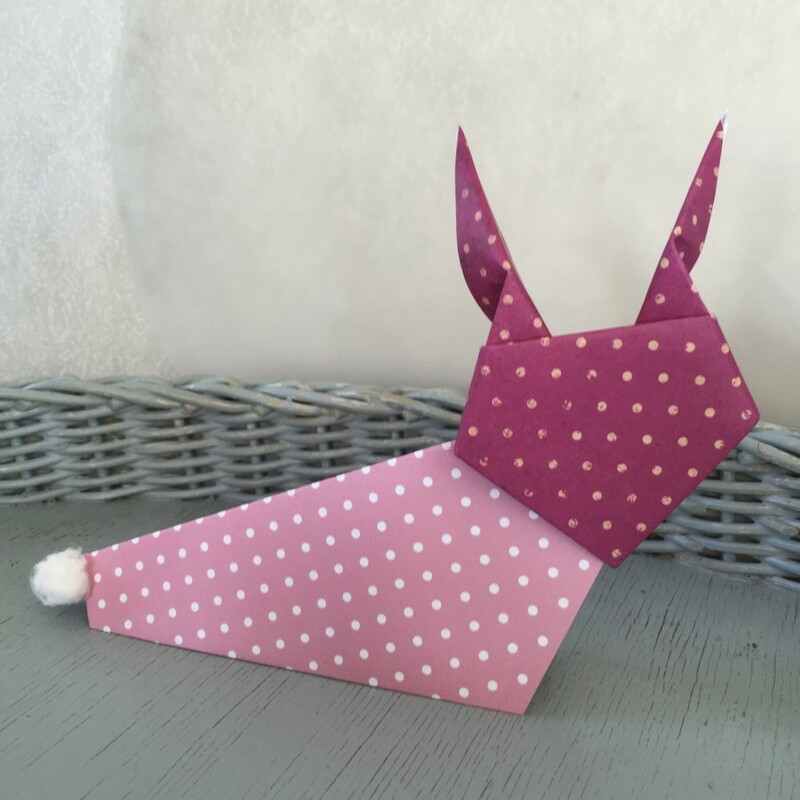 Add a fluffy cotton-wool tail.